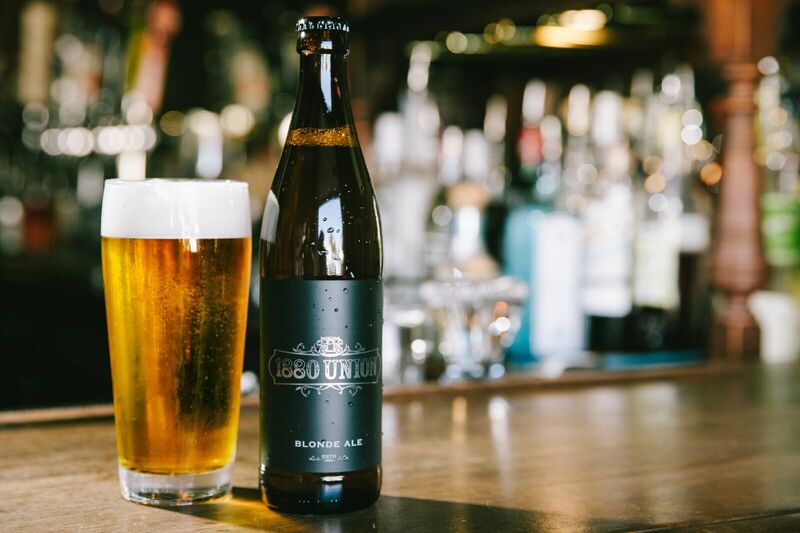 In the longstanding tradition of serving beer to its saloon customers, 1880 Union offers a Blonde Ale known for its distinctively smooth and refreshing flavor. Bucking the current trend of overly sophisticated recipes, this beer is an easy-drinking throwback to the Gold Rush, when refrigeration wasn’t available and the open-top bins were cooled by winds off the Pacific Ocean. A popular ale amongst California’s mid-19th century and early 20th century laboring classes, it’s an overdue homecoming for the Central Coast.